"What did Bruce Lee eat?" Bruce Lee's diet, sometimes called the 'Bruce Lee Diet,' is actually amazingly simple. While he devoted a ton of time to martial arts training and exercise, beyond a few basic ideas his wife, Linda Lee, was in charge of food and cooking. "When you are a martial artist, you are a nut; you go to extremes to improve yourself as a martial artist. And one way is to eat only what your body requires and not get carried away with sensual [eating] pleasures." Is The Bruce Lee Diet Plan Asian or European? 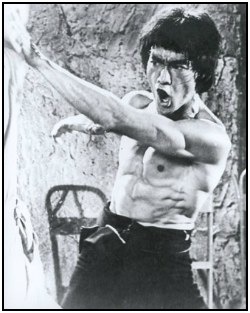 The Bruce Lee diet plan was definitely centered more on Chinese foods and styles than on Western/European foods. I think this was because of Bruce's Chinese heritage, in addition to the fact that he enjoyed the variety in Chinese and Asian cuisine. However, his rules are simple to follow today, regardless of whether your foodstuffs are of Asian or Western origin. Food is food, and you can tailor Western foods to be cooked and consumed in Chinese style. This was a big one, though not as much of a problem in the 1960s as it is now. Eat real foods. Adele Davis was a prominent nutrition writer in the 1960s and '70s, and Linda Lee followed Davis's advice to eat real foods and, as a corollary, to avoid processed foods like bread and cake when preparing Bruce's meals. This rule can be applied to Asian and Western foods easily these days. And it makes sense: eat food that's, well, food. Variety! The Bruce Lee diet had a variety of food, and for good reason. Bruce traveled all over the U.S., China, and even went to Thailand for filming The Big Boss. Bruce had access to a rich variety of local foods, prepared in a variety of ways. This is especially true of Chinese cuisine, which has great depth and diversity owing to its geographic and ethnic range. So, don't get stuck in a rut eating just a few 'super-healthy' foods. Variety gives you lots of different nutrients, as well as lots of fun. This dovetails right along with the 'eat real foods' rule above. Refined sugar and flour products (white bread, rolls, cakes, cookies, etc.) are much more processed than fruits, veggies, and meat — so Bruce avoided them. Bruce also didn't like dairy much. In particular, he didn't like cheese and wondered why so many westerners liked it. However, these aren't hard and fast rules. 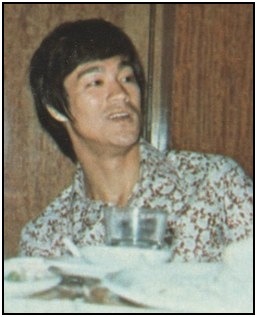 Bruce liked milk in his tea and protein drinks, and enjoyed lots of Chinese noodle dishes. Another reason Bruce liked Chinese and Asian cuisine was the ratio of vegetables to meat. He thought that it was healthier to have a higher amount of protein and carbohydrates, while he thought traditional Western diets focused excessively on protein and fats. Eating this way gives you lots of carbohydrate sugars to fuel immediate activity. You also get protein to build your muscles. The Bruce Lee diet includes a wide variety of supplements. Bruce always pushed the envelope with what his body could handle, and reasoned that giving himself additional supplements would support it. Bruce also took traditional Chinese herbal supplements. He was particularly fond of royal jelly mixed with ginseng, which he used if he needed a sudden burst of energy. 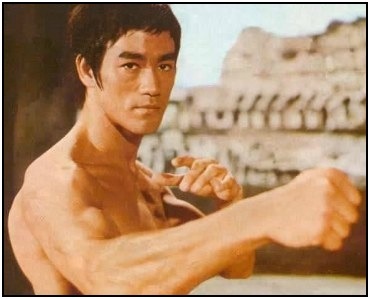 Fruit and vegetable juices were an integral part of the Bruce Lee diet plan. He bought an electric juicer and would liquify carrots and green vegetables into highly nutritious carbohydrate- and nutrient- loaded beverages. Your body absorbs liquids faster than solids, so Bruce was giving his body the fuel it needed in a very efficient manner. He also exercised intensely, so the high levels of sugar in these kinds of drinks were used to fuel his exercise. The Bruce Lee diet included protein drinks, probably adopted form the prevailing bodybuilding knowledge of the time. These great post workout drinks helped him build his incredible muscles. Bruce also recommended half and half instead of milk to bulk up. However, he liked keeping his super lean appearance and only drank milk himself. Bruce was a big tea drinker. And since China has a truly large and bewildering variety of teas to choose from, there was a lot of variety for him to try. His favorite tea was chrysanthemum, though he also liked milk tea (奶茶, nǎichá) that Linda made for him. This was a strongly steeped lipton black tea, with generous amounts of milk and sugar. Bruce lee would eat several (3 to 5) small meals a day plus snacks, rather than several large meals.11 This was in line with the prevailing bodybuilding wisdom of the day, with the 6 meals a day diet plan. I'm generally not a big fan of the six meals a day diet, but it obviously worked well for Bruce! ;-) I suspect it worked so well for him because he was exercising so much and needed that amount of fuel. However, most of us probably don't need that kind of constant refueling. Rather than a strict rule, this is the attitude that is the foundation for the Bruce Lee diet. 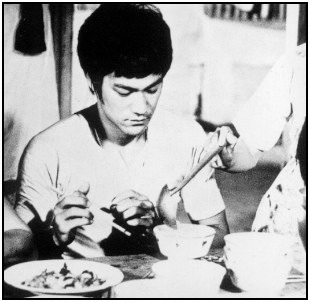 Bruce regarded food as his fuel for exercise and doing martial arts, not as an indulgence or a sensual pleasure. You can see this in his ripped physique! Look at your food the same way. Having dinner is not an event, but rather a necessary stop to refuel so that you have the energy for your real work. "When you are a martial artist, you only eat what you require and don't get carried away with foods that don't benefit you as a martial artist." This is another insight into the logic of the Bruce Lee diet. Over the course of his life Bruce didn't follow all these rules, and he was constantly tinkering with his own diet plans, workouts, training routines, and martial arts ideas. Try out these rules, and keep those that make sense to you. Discard those that don't work, and keep moving forward! If you're still interested in Bruce Lee's nutrition and workouts, check out the book The Art Of Expressing The Human Body by John Little. This will give you a ton more nutrition, diet, and workout information to help you build your body. Remember that these Bruce Lee diet tips are a great resource, but your own progress, setbacks, and challenges — and how you handle them — will ultimately dictate your own progress. • Click here to leave 'The Bruce Lee Diet: 11 Rules Every Martial Artist Should Know' & go back to the Home-page!